Both of us have worked several years with shamanic practice and shamanism is the foundation of every frame drum or rattle we create. The shamanic tools we make are used for different spiritual practises such as shamanic journeys, calling power animals and spirit helpers and for healing. Both of us learned and adapted the art of drum making from drum maker Day Feye in Norway. From our individual perspective we have both included the dance in our shamanic work, so that the individual physical expressions of the body in coalition with the drums and rattles become a tool for shamanic traveling as well. Works with shamanic practice, intuitive dance, body therapi and dream work. 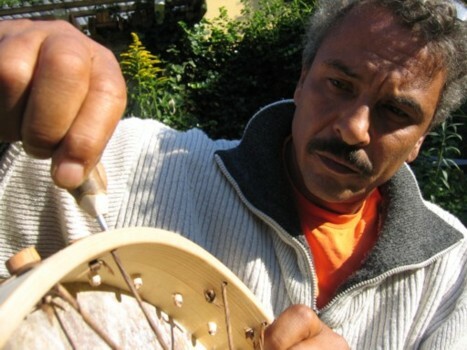 Creates shaman drums honoring the samic / sibirian tradition. To build shaman drums according to individual preferences. 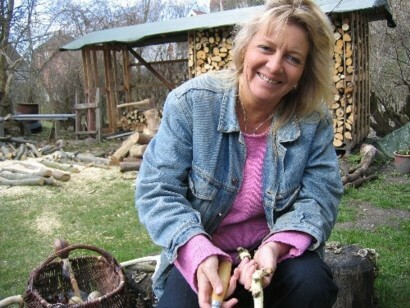 Courses in shaman drum building. Introduction og guidance in shamanic traveling. Works with shamanic practice. Dance with shaman drums and rattles. Counseling where I use palm reading and drumming. Creates various kinds of rattles, feather fans and drums. Courses in spiritual dance rooted in shamanism and ancient oriental dance. Counseling, using drum, rattle, and palm reading as “gateway” to the spiritual world. Speaking about my spiritual work using shamanism, palm reading og and dance.